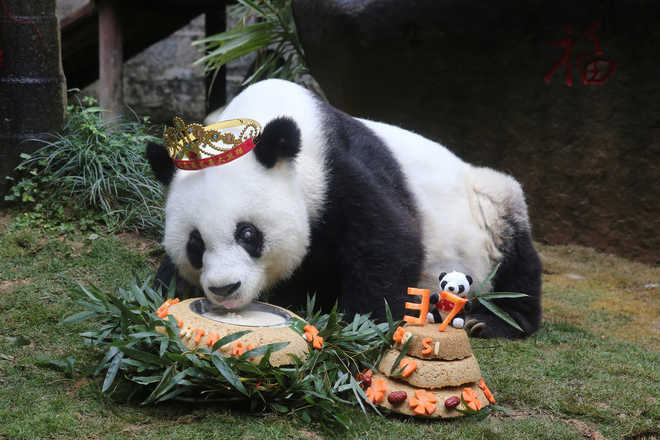 Basi, the world’s oldest captive panda with a celebrity status among the endangered species, celebrated her 37th birthday on Wednesday, equivalent to more than 100 human years in east China’s Fujian Province. 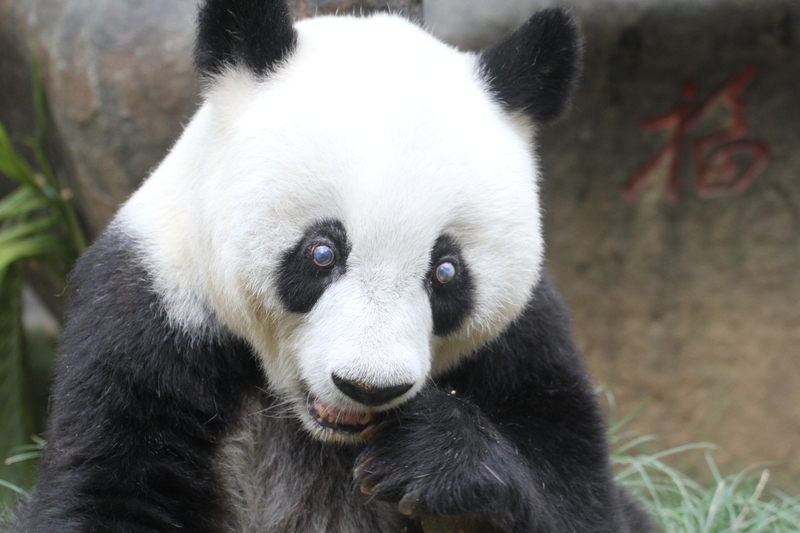 Basi, born in 1980, is the oldest, and possibly the most famous, panda on the Chinese mainland. In 1990, she was chosen as the model for Pan Pan, the mascot of the Beijing Asian Games. 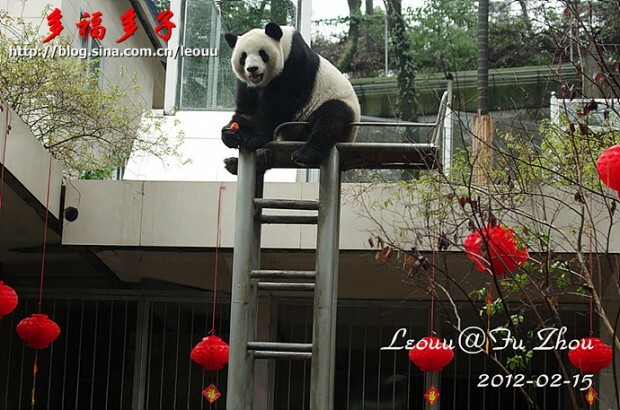 She got her name after being rescued from the Basi Gorge in Baoxing County of southwest China’s Sichuan Province. Basi moved to Fuzhou in 1984. 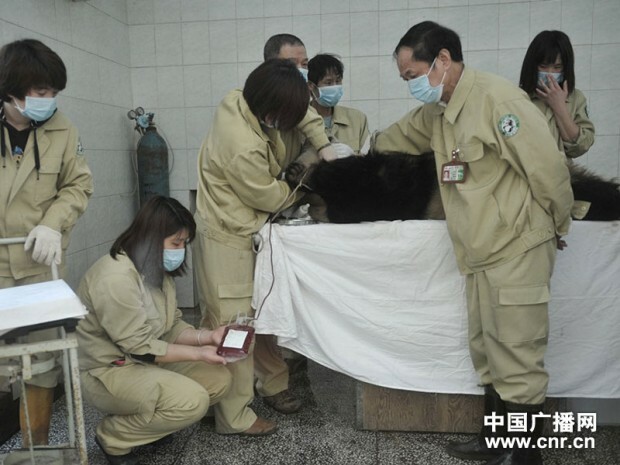 She is generally in good health now, said Chen Yucun, director of the Strait Panda Research and Exchange Center in Fuzhou.“She eats and sleeps well and moves freely,” Chen said. Compared with ten years ago, Basi’s heart beat has dropped from 110 per minute to 60 per minute and she does much less sports than before. Her activity time is usually less than an hour every day and she spends 21 hours asleep, but she has a good appetite and her weight stays around 100 kg, state-run Xinhua news agency reported.“Our biggest worries are angiosclerosis and hypertension. We fear she may suffer sudden angiorrhexis,” Chen said.“We have four people taking turns to take care of her and six surveillance cameras to monitor her activities. 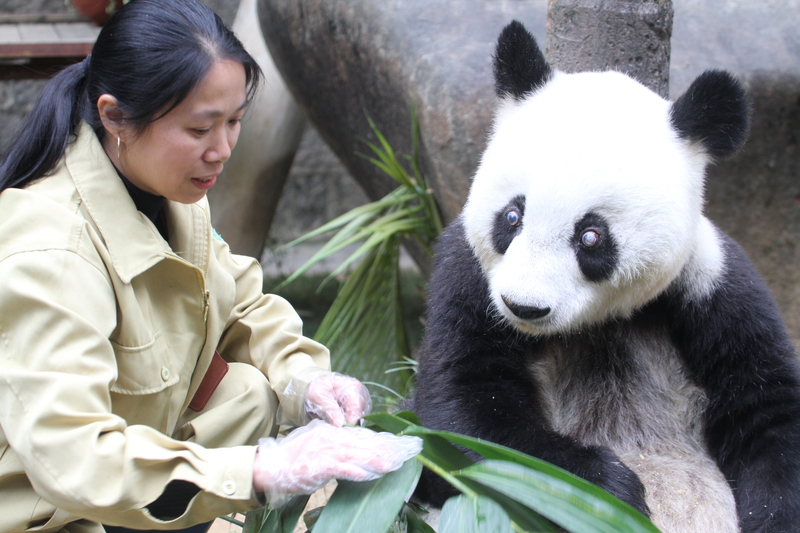 We hope she will become the most long-lived panda,” Chen said. Jia Jia in Hong Kong was the world’s oldest living captive panda when she died in October 2016 aged 38.